Aftering using a long time for your standard A shape tent and more similar tents in your place, and without enough money to up-grade your tents with more luxury accessories? 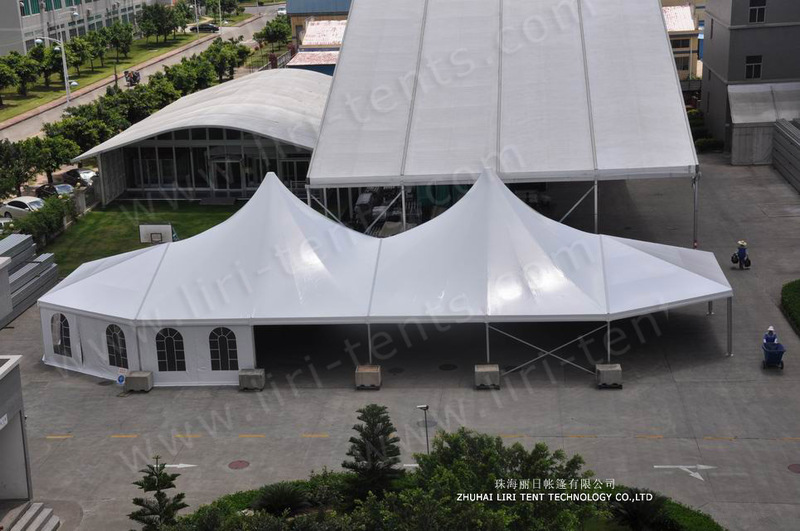 Here LIRI TENT will offer you an new idea. It is very simple to make your tent more special, and easy to make it. Adding high peak to your tents will be a very good idea. The hgih peak tent is always an eye-catching structure of its bell – shaped roof line. Clear span width of this series has a wide range from 6m to 40m. 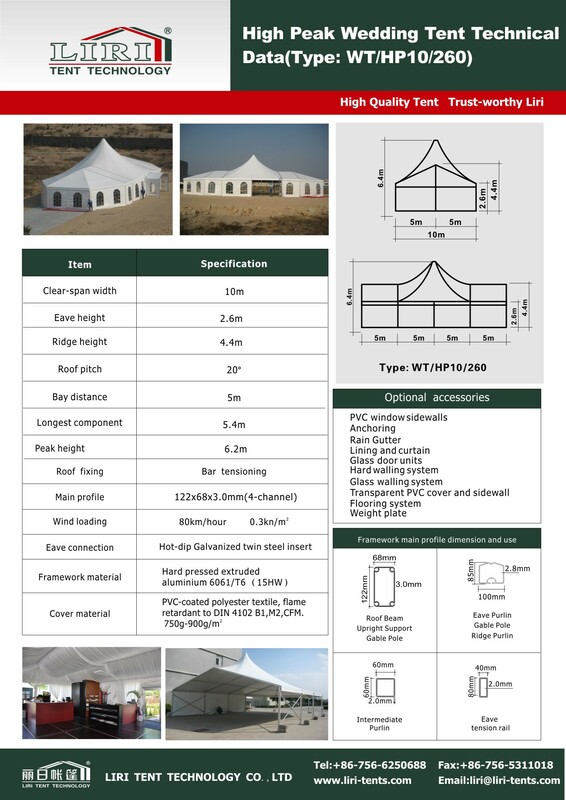 High peak unit is abl to join with the regular A – shape unit, and multi-sides unit to form a mixed tent. For the high peak, it can add on the basic of the A shape tent you have already bought, so that will only help you to save cost but also make something to your tent.